On the last The Great Manager webcast, we talked to Gallup Chief Scientist for Workplace Management and Well-Being, Jim Harter, Ph.D.
Dr. Harter says that great managers don’t just provide a fun place to work, they successfully position their employees to have a chance to grow and progress over time. More than just making a team feel good, managers are responsible for engaging their teams in order to deliver exceptional performance outcomes. These outcomes can include fewer safety incidents, higher retention rates, or increased customer engagement. The most important piece of advice that Dr. Harter would give to managers is to think about improving lives while you’re improving performance. Many managers focus only on the latter. They see success strictly through the lens of business outcomes. Great managers look at the nominal outcomes, but also focus on bettering the lives of those they manage. To hear Dr. Harter talk more about how focusing on strengths can help boost employee engagement among your team, watch the full video above. Join us for the next The Great Manager live webcast on Tuesday, Sept. 30, at 3 p.m. EDT (-0400 GMT). We will be hosting Jerry Rudzinski, Senior Director of Sales, Stryker Patient Handling. Dr. Harter is coauthor of the New York Times bestseller 12: The Elements of Great Managing, an exploration of the 12 crucial elements for creating and harnessing employee engagement. 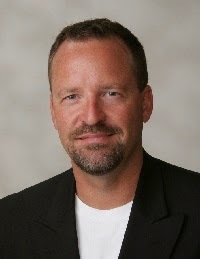 He is also author of New York Times and Wall Street Journal bestseller Wellbeing: The Five Essential Elements. Dr. Harter’s top five strengths: Achiever | Focus | Learner | Relator | Futuristic.